For location and reservations, go to Levende’s website. 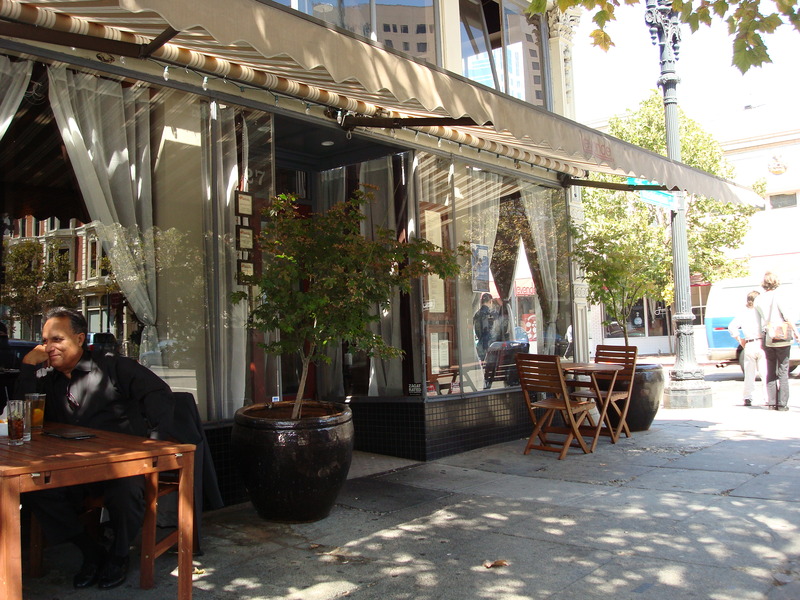 Lunch can be very pleasant when it’s on a sturdy wooden table for two, situated under a leafy tree, on the sidewalk outside the restaurant, Levende, with people on their lunch break walking past the restored early 20th century two-floor office buildings in old Oakland. The air was cool, the passers-by looked young and fashionable, the light under the tree branches was soft all made me wonder if I had wandered on to a film set by accident. Picture perfect. Then the food arrived. And it was good. 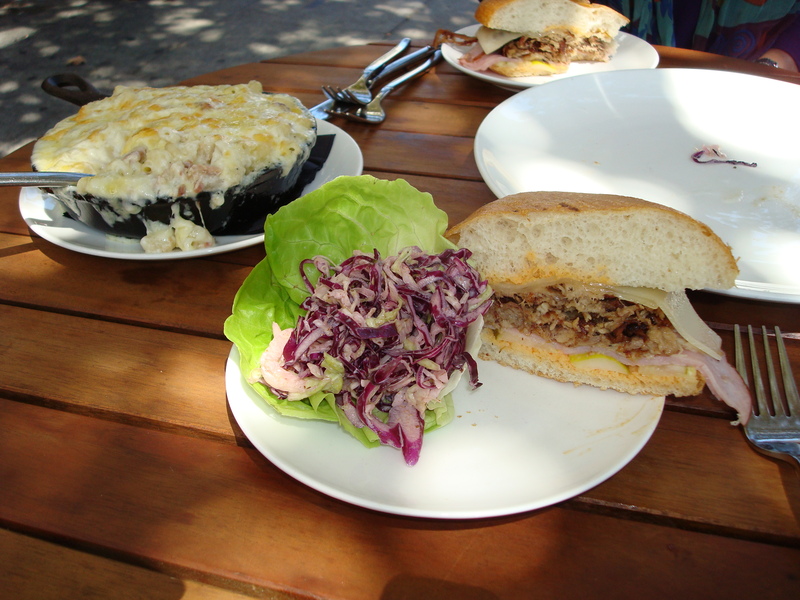 My friend Patrice and I shared a Cuban sandwich (pulled pork, inadequately melted swiss cheese, sweet horseradish mustard, pickles and an uncredited light romesco sauce) and a small castiron skillet of luscious, bubbily macaroni & cheese made with blue cheese bechamel sauce and smoked bacon. We each finished our half of the sandwich, but only consumed half of the mac & cheese, with my shouldering most of the work. I felt prepared for my flight to London three hours later.